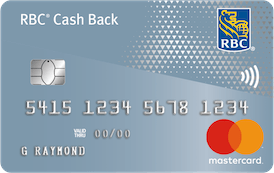 RBC Cash Back MasterCard is typically available to those with good credit scores (650 or greater). Given its 2% earnings level for grocery purchases, the RBC Cash Back Mastercard might be best-suited for families with large monthly food purchases. The lack of an annual fee and the inclusion of extra features, such as purchase protections and zero liability, give it added value.